Representative Linda Sánchez (D-CA) Vice Chair of the House Democratic Caucus & Vice-Chair of the Equality Caucus, joined Equality Caucus Co-Chair Representative David Cicilline (D-RI) & 192 members of the House of Representatives to introduce the Equality Act of 2017. 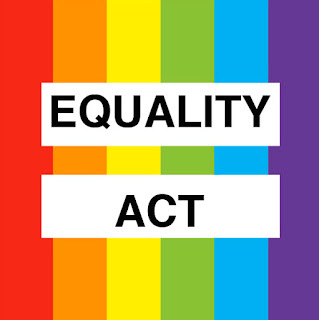 This legislation amends the Civil Rights Act of 1964 to add nondiscriminatory protections for LGBTQ people based on sexual orientation & gender identity. Rep. Sánchez stated, “It is unacceptable that the law today still treats LGBTQ people as second class citizens. Everyone, regardless of their sexual orientation or gender identity, must be protected & treated equally under the law. The Equality Act of 2017 will ensure that the laws of our country provide LGBTQ Americans the same protections we all enjoy. I want to thank Congressman David Cicilline, & the co-chairs of the Equality Caucus, for their leadership & all of the members supporting this legislation. Respecting our brothers & sisters should not be a partisan issue. Ensuring every person in this country is treated fairly & justly should not be a partisan issue. I hope my Republican colleagues will step up & support this important bill.” David Cicilline (D-RI) added, “Fairness & equality are core American values. But millions of LGBT Americans are still viewed as less than equal in the eyes of the law today. I’m proud to introduce the Equality Act of 2017 with Senator Jeff Merkley. This bill ensures that every LGBT person can live their lives free from the fear of discrimination. Above all, it’s about honoring the values that guided our nation since its founding. It’s critical that Congress pass the Equality Act into law.” As of now, 29 states do not provide protections for LGBTQ Americans. Because of this, LGBTQ people can be fired, evicted, or denied a loan because of their sexual orientation & gender identity. The Equality Act would provide nationwide federal protection to LGBTQ people from discrimination. Sen. Jeff Merkley (D-OR) also introduced the same legislation in the U.S. Senate with 45 original co-sponsors.